The Constitutional Court of South has ruled that the private consumption of cannabis is no longer a criminal offense. Cannabis and Private Use is now allowed. Thousands of naturalists, herbalists, homeopathy advocates and cannabis smokers all over South Africa have celebrated the ruling. However, questions still surrounding the practical implications of the judgment still seem to be answered. Basically, smoking cannabis in the privacy of your own home is now perfectly legal. You will just have to ignore the neighborly objections. The fierce social stigma which has been attached to cannabis thanks to South Africa’s conservative culture. No more criminal records for possessing a small bankie of cannabis. But, the judgment does leave some room for misinterpretation. What some may call a “loop-hole” in the law. Especially with regards to “personal use” being the grounds for the ruling. The reality is that the South African Police Service (SAPS) is still tasked with upholding laws. Even those relating to the use of cannabis. The judgment, handed down by Deputy Chief Justice, Raymond Zondo. States that adults are now legally allowed to grow, use and cultivate cannabis on their own property. All other exceptions regarding amounts and defining legal use. Has been left up to the government to decide. Judge Zondo maintained that further details surrounding regulation would be overseen. Then further clarified by the ruling African National Congress (ANC). In the meantime, how will police discern degrees of use? Obviously, there will be situations that we can easily see the differences between private use and possession with the intention to sell. Think of an extensive cannabis farm compared to a couple of plants in the garden. A truckload compared to a plastic bank bag. These are extreme situations on opposite sides of the coin. There is a definite grey area in-between, where police will be left to use their own discretion. Basically, the courts will still process members of the public. People that have been arrested by the police on suspicion of possessing cannabis with the intention to sell. The exact same applies to the cultivation of the plant. Zondo’s judgment makes an important note. While the private personal use of cannabis has been “decriminalized”. 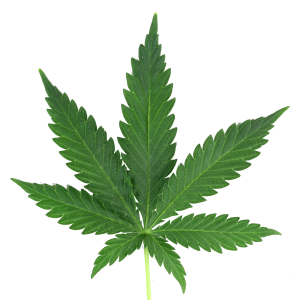 Use of the plant outside of this stringent mandate is still illegal and punishable by law. According to the Drugs and Drug Trafficking Act 140 of 1992. 115 grams or less. Can be successfully argued as beingpossessed for ‘personal use’. It’s likely that a far lesser amount could lead to suspicion. Possible arrest if found in one’s possession in public. To read more on this topic. See Politics of Cannabis Legalisation. What are your views on the matter of Cannabis and Private use? We would like to see Cannabis Coffee shops popping up everywhere.